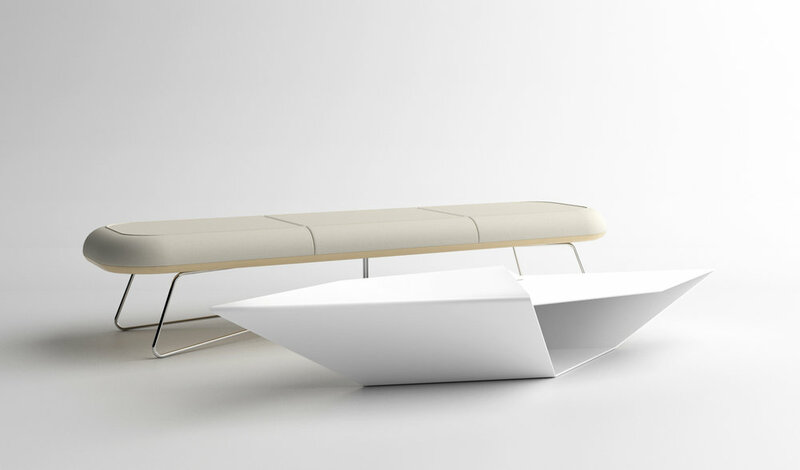 Transforming the perception of thinness and delicacy of a paper into a durable unique surface by folding, Verso is an occasional low-surfaced coffee table, inspired by a paper plane. The name, 'Verso' came after the book-binding terminology, which means a left-hand page of an open book, that always has even numbers. The table is folded with an even number of surface planes, six.